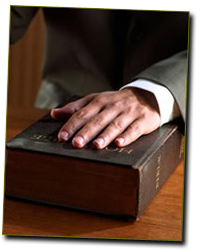 The law provides for recovery from a negligent person or company if they cause you or your property damage. The majority of personal injury litigation arises from automobile accidents. For most drivers, insurance companies pay for personal injury and property damages of their insured's. However, sometimes this area of law may require you to pursue your own insurance company for recovery under med-pay or uninsured/underinsured coverage. This area of law is very fact specific. The only way to know if you have a case is to immediately contact an attorney to understand your rights. Many insurance companies will try to settle within days of the accident. This is almost always to the determent of the injured person. Some injuries may take months to fully manifest themselves. I have represented several clients who were in accidents but did not know of lower back or neck injuries until months later. Sometimes injuries manifest during cold or damp weather, other times they may come out when you turn your body the wrong way. However, for most of the time, you will never get a dime from an insurance company until you sign a release form, which forever releases the insurance company from any unknown or future injuries that may come out of the accident. Therefore, if you sign a release days after an accident and later discover that you have a very serious condition, and then you unfortunately are out of luck. Additionally, there are several other types of personal injury. From medical malpractice to products liability, you can be injured by a wide range of individuals or companies. If you think you have been injured due to the negligence of another party, then please contact me immediately. The Personal Injury Case form is for your convenience and will help you organize your thoughts. Please fill it out and schedule and appointment as soon as possible. Your first step to financial compensation is just a phone call away.